We have a room in our house that Brexton basically claimed with all his toys, so shortly after his first birthday I decided I wanted to turn it into an organized playroom for him! 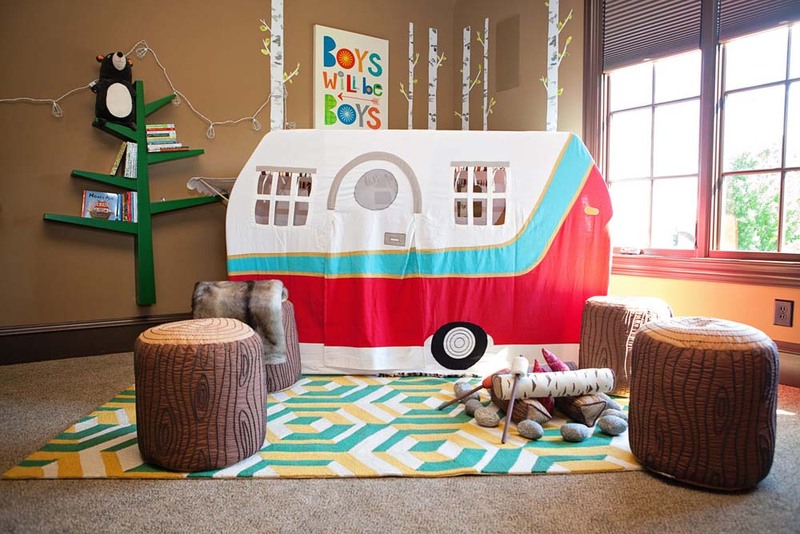 One day while flipping through the pages of my Land of Nod sales catalog, I stumbled upon this awesome motorhome play tent! As an ode to our crazy travel life and the fact that Brexton loves being on the road, I knew it would be perfect for his playroom. As I began to create my vision for the rest of the room, I knew I wanted a fun forest setting but it also needed to be functional. 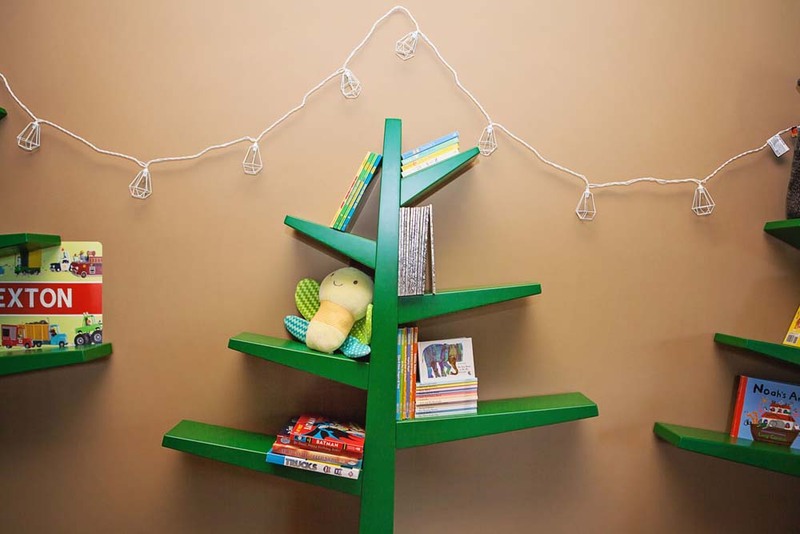 These bookshelf trees from Project Nursery were perfect! They come in a variety of colors (the poppy green was exactly what I was looking for! 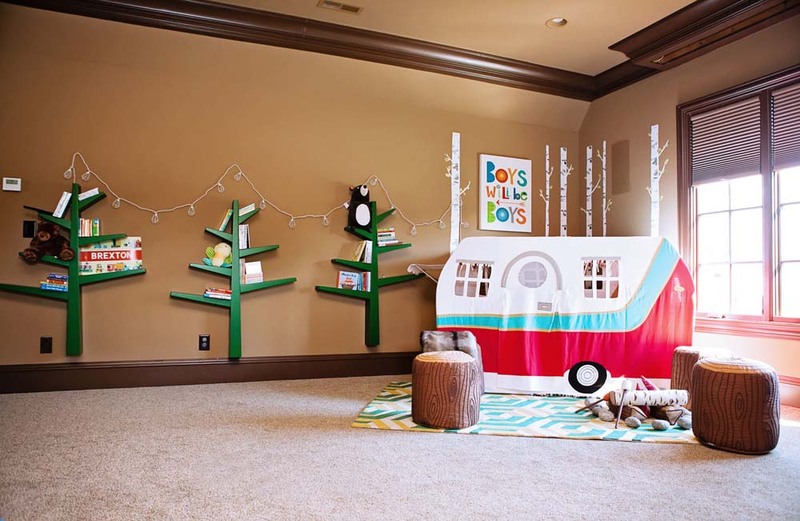 ), and offer a ton of space to display Brexton’s extensive book collection. To continue the forest theme, I found some great decal trees from Target that I thought brought in some contrast. For those thinking about using wall decals, these were super easy to apply! I went to Home Goods in search of a rug and artwork and could not be happier with my finds! 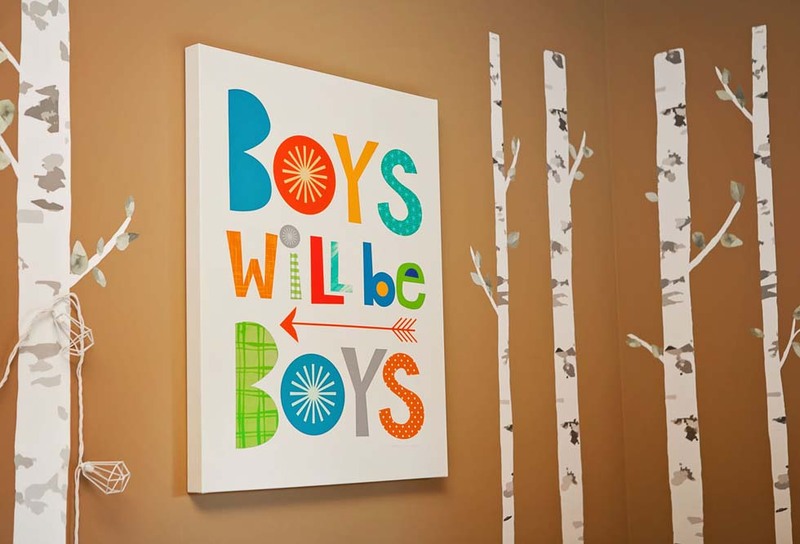 I felt like the rug really tied all the elements together and the “Boys will be boys” artwork was a perfect compliment to the theme. During one of my Target runs, I found string lights and we put them up around the room. We love to turn the lights on at night – all the kids get a kick out of it! 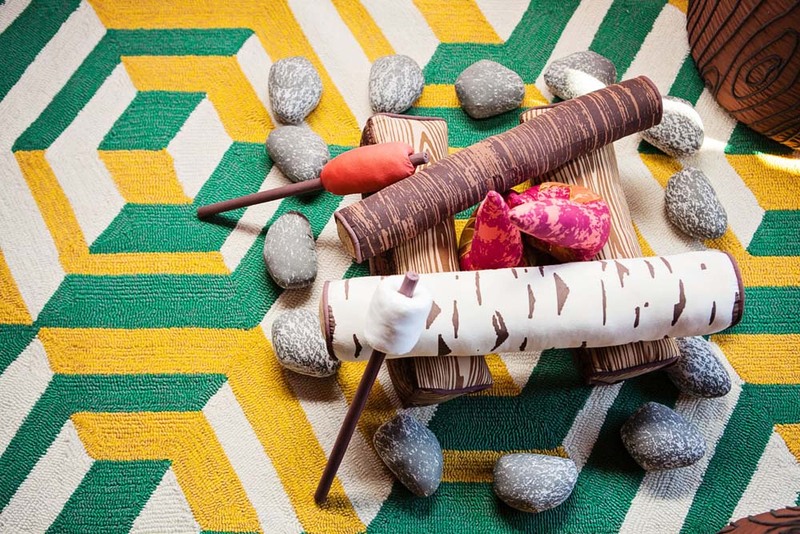 Brexton LOVES his campfire scene from the Land of Nod; complete with stumps and a fire where he pretends to roast marshmallows and hot dogs. Inside his tent we put a play kitchen, as well as lots of blankets in one corner where he loves to cuddle up and look at his books. Sometimes we even put his little blow up pool behind his motorhome as an ode to the Daytona July race where everyone, us included, has a blow-up pool by their bus! This has been such a fun room for us to hang out in with friends and make memories together as a family.